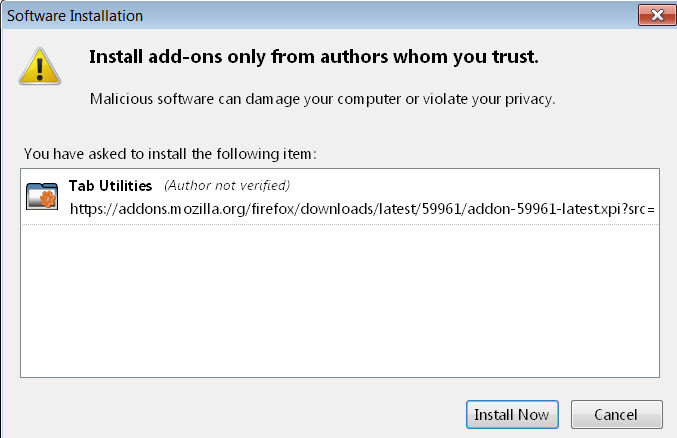 If you are using Firefox maybe you don’t know that they offer a huge library of Add-ons. An add-on is something you install to Firefox to enhancement it’s performance and make it a customized browser just for you. If you install a Firefox Add-on it could slow down your browser so make sure you keep them to a minimum and only use the ones you really need. You can also disable Add-ons when you aren’t using them. Within the Add-On category you will see them mainly labeled as Extensions, Personas, and Themes. Extensions are usually things that will help you in your daily use of Firefox. I have used Google and Yahoo toolbars in the past but I found they really bogged down my browser. If they make it convenient for you to check email, etc. then the might be fine for you. There are so many Extensions you could use. These help me so that is why I use them. You need to search through the vast library of Firefox Add-ons or ask a friends for suggestions until you find add-ons that work for you. Personas are kind of like Windows Personalized Themes. Adding a persona will give you browser a different look and mainly changes just the top toolbar and bottom by integrating a special background image. Themes are a step-up from Personas in that they change the look of your browser with a special background image and they change other components of your browser like the buttons and fonts. Once you search and find the Add-on you want to use follow these simple steps to install it. You can search directly from the first step if you haven’t found one yet. 2. Click on the Add-On you want to install. A window will pop up. You must wait 3 seconds for the button to appear and then click Install Now. 3. Click Restart Firefox once the install is complete. Your Add-on will not be activated until you restart Firefox. 1. Click on the Tools menu and then Add-ons. 2. 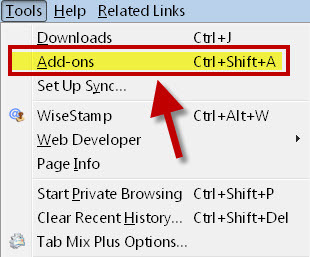 Click Disable or Remove to stop using the Add-on. 3. 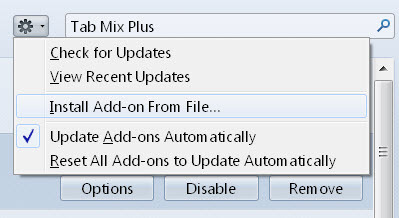 If you have the Update Automatically feature selected you never have to update your add-ons because they will be updated for you. To check to see if this option is set click the button at the top of the Add-on page near the search box. Anytime you add, remove, or update an add-on you will need to restart Firefox for the changes to take place.